If you have been building for the web for a little while, you would have like me encountered at least some issues when making swipers - for some reason, they always seem to have a mind of their own for a while and they come around. It&apos;s either, the swiper isn’t as responsive as you would have liked or the extensive styling you had to do before making it look half as good as you expected. Now if you have ever used Netflix, you have also seen how elegant and fluid their movie swipers are. Thanks to Vue and this awesome swiper you don’t have to feel some type of way when making your swipers. 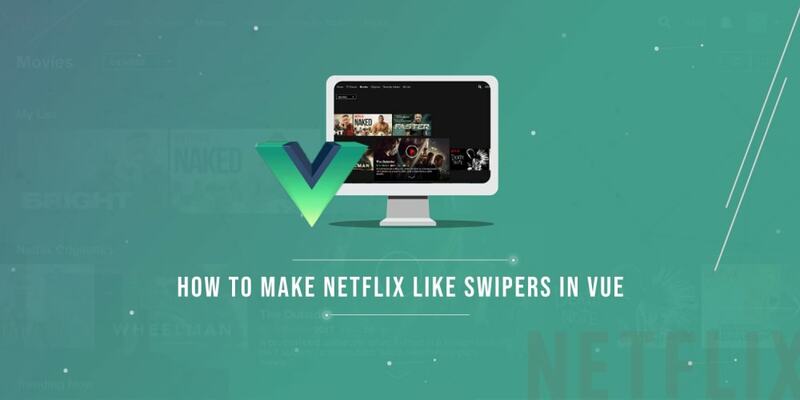 By the time you finish reading this article, you would be well equipped to making your own Netflix-like Swipers using Vue. If you get a version number as the result then you’ve installed Vue on your machine. This shows a prompt for us to complete and once we’re done w the prompts, it creates a Vue sample project with webpack for us to tweak and build our application. The purpose of components is to make parts of our UI reusable. In this case, we are going to have so many movies so why not create a movie component and then reuse the component as we wish during the application. Here, we name our component and also specify the props for the component which will be added each time the component is used. Now that we have successfully created our movie component, the next thing we want to do is to integrate the swipers into our application. Once we do this, we have successfully installed the module for use in our application. Now, we create a HomePage.vue component in the src/components directory in which we will use the swiper. Now in our HomePage.vue , we first create the component and also import the other components Movie, swiper, swiperSlide - these are gotten after importing them from the swiper module we installed in the project. We also configure the slider using the data properties for the component. There’s so much you can do with Cloudinary and you can check them out here. We use our <swiper /> component and have many <swiper-slide/>``&apos;``s inside it. We also added a div to house the pagination element. Now that we have seen some basic swiper examples, we’re well underway to building Netflix like swipers. We will continue using the Vue Awesome Swiper we have been playing around with so you don’t need to worry about any extra knowledge/setup. We have our movie component and we’ll apply the Vue Swipers on the component to give the Netflix-like swipe result. When we go back to our development server, our app looks like this! In this article, we saw how implement swipers extensively in our Vue applications. There are so many applications for swipers and now you no longer have to dread implementing them anymore since you have the keys now. Here’s a link to the Github repository. Feel free to leave a comment below if you have any further questions.